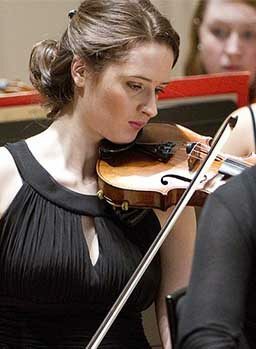 If you would like to come to the Royal Conservatoire of Scotland on an exchange we actively encourage your ambitions. Stepping into new and unexpected experiences is a vital part of growing and developing as an artist. The Conservatoire is resolutely international in outlook. International recruitment has grown steadily over the last decade to the point where 23.38% of the student body is from outwith the UK, with around 50 nations being represented. The Conservatoire views its internationalisation strategy as an essential element in the promotion of a rich and diverse student experience. We view our international engagements as being absolutely vital to the promotion of a rich and inclusive cultural mix. Performance is central to the Conservatoire’s student experience and therefore we carefully select our partners on the basis of their ability to offer our students a total professional performance experience in the context of a different national artistic culture. Similarly we would wish to ensure that incoming exchange students will benefit from the extensive and intensive performance opportunities which are integral to all aspects of our curriculum. Institutional profile is much more important than geographical location therefore as a Conservatoire we do not prioritise partnerships on the basis of location. The overriding objective for all our exchange activity is cultural enrichment. We believe and actively promote mobility as a vehicle for the greater understanding of national, European and world culture and also firmly believe that one’s own culture is very often better understood from an international perspective. We firmly believe that exchange programmes also promote an ethos of equality and diversity in our relatively small academic and artistic community. Because art is an international language we take a universal approach to exchanges and encourage all students at all levels and on all programmes to consider the opportunities presented by Erasmus activity. For staff, a particular priority for us is colleague’s exposure to new and different teaching methodologies which they can then apply in their home context. We would wish to expose increasing numbers of students to different art forms and cultures thereby better equipping them to forge international careers and make international connections which will sustain their UK based career. We see staff mobility as providing vital input into our quality enhancement agenda through helping us benchmark our provision against sister European institutions and also though the infusion of new ideas and new ways of working. Through both student and staff mobility we learn from other world-leading institutions and through that contact the quality of our student experience is enhanced. Self-evidently our outbound students are exposed to Europe’s various languages which of course helps to address the residual issue of the relative insularity of the UK in terms of language development. Although not directly concerned with business the economic impact of culture and the arts is, of course well researched and documented and we believe that the cultural links which our inward and outward bound staff and students make with various professional companies attached to this and partner conservatoires will generate new cultural and economic activity. Our absolute priority with all of our engagements with Erasmus is cultural and academic enrichment. We are grateful for the opportunity to include non-teaching staff in the scheme in future and look forward to the sharing of best practice in terms of governance and institutional management. We are also linked to several other institutions outside of Europe. International exchanges enable our students to study in North America, Asia or Australasia as part of their course and for students from international partner institutions to study with us. Equally, if you’re from one of the Conservatoire’s international exchange partner institutions you can apply to study in Glasgow for part or all of an academic year. The application process is identical to that for Erasmus+ applicants. You should apply via the EASY system with the consent of the International Relations Coordinator in your home institution. If you’re able to apply you will be advised of the application process by Arcadia. To check whether you’re eligible to apply please check with the relevant member of staff in you department at Muhlenberg College.